Post Number 2! If you've missed the party so far you can catch up here! 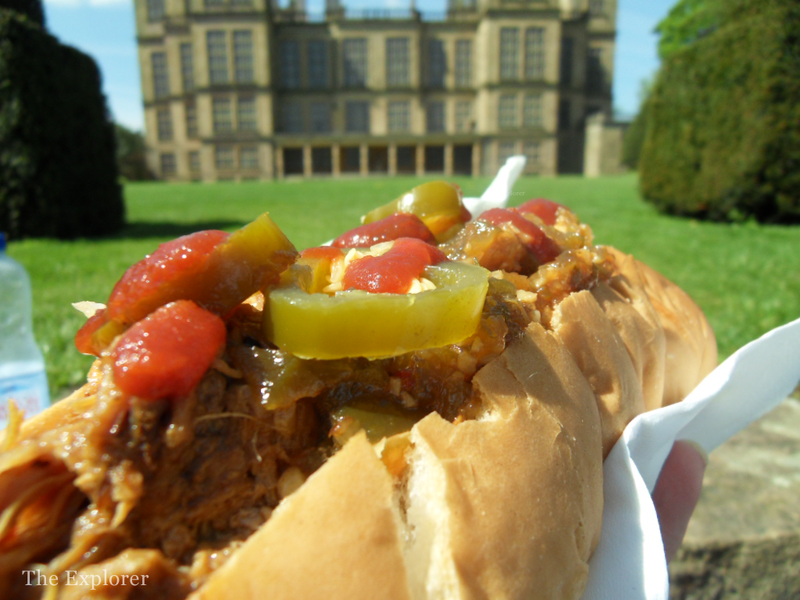 Right, so the Oh My Days sandwich…..we’ll get onto that in a bit. 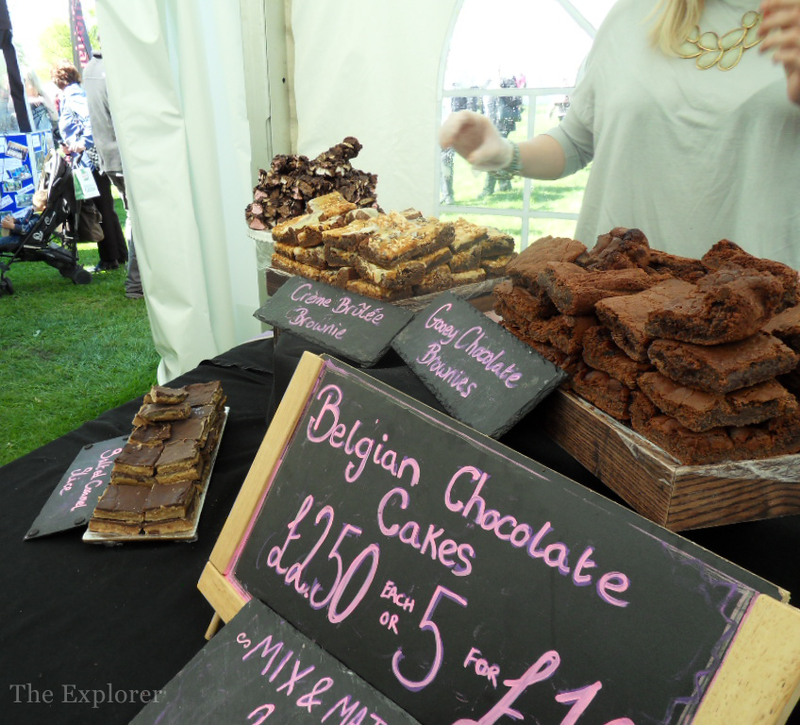 The mix of vendors at The Great British Food Festival was impressive. There was quite honestly something for everyone. We intended on arriving a little before opening time in the hope of charming our way in early to avoid big crowds and get a chance to snap the stalls and chat to the guys behind the products, however the crowds were one step ahead of us and there were already some eager beavers there. Thankfully we were let in a little early anyway. Naturally we hit the first food marquee we got to and by the end of it, I'm ashamed to say, I may have had a slightly light head. I should point out that 1.) I am not a drinker - at all, 2.) I had intentionally arrived with an empty stomach and forgot this, 3.) 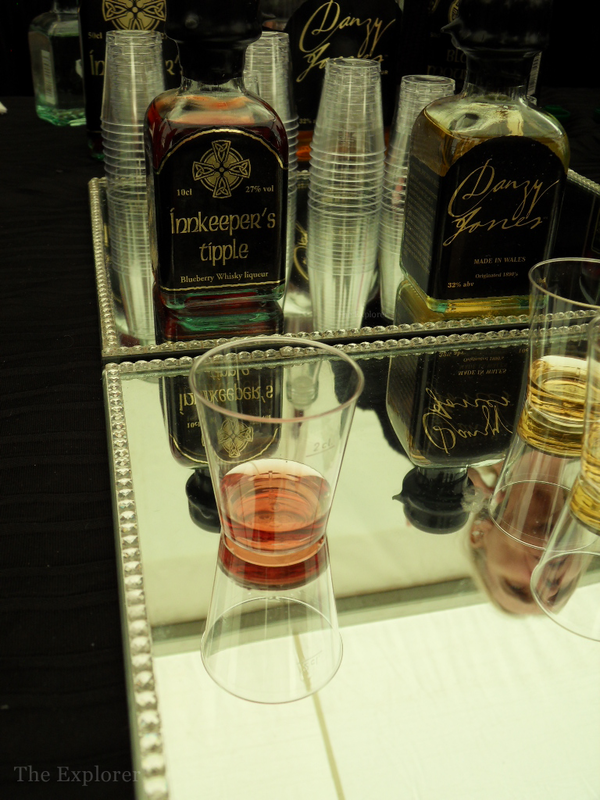 There were samples of Gin, Vodka, and whisky involved - all neat. My favourite of the bunch without a shadow of a doubt was the very first one I tried; Elderflower Gin from the Edinburgh Gin Company. It was a beautifully balanced gin and it was simply divine. I can imagine it going well in summer with maybe a bit of Prosecco. 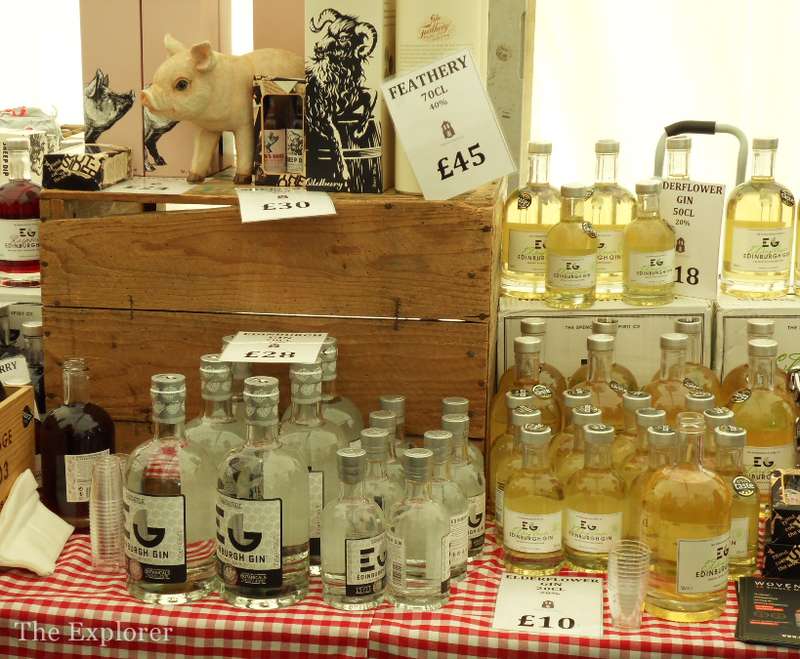 They had a Raspberry Gin too which looked excellent but I didn't manage to get to try that one. I also tried a Blueberry Whiskey Liqueur from the Celtic Spirit Co., now this was nice but not as nice as their Black Mountain Liqueur (Apple and Blackcurrant brandy). This was just lovely, absolutely lovely. It was a shock to like Brandy but I'm willing to don a velvet Jacket and cigar if it means I can drink this again! 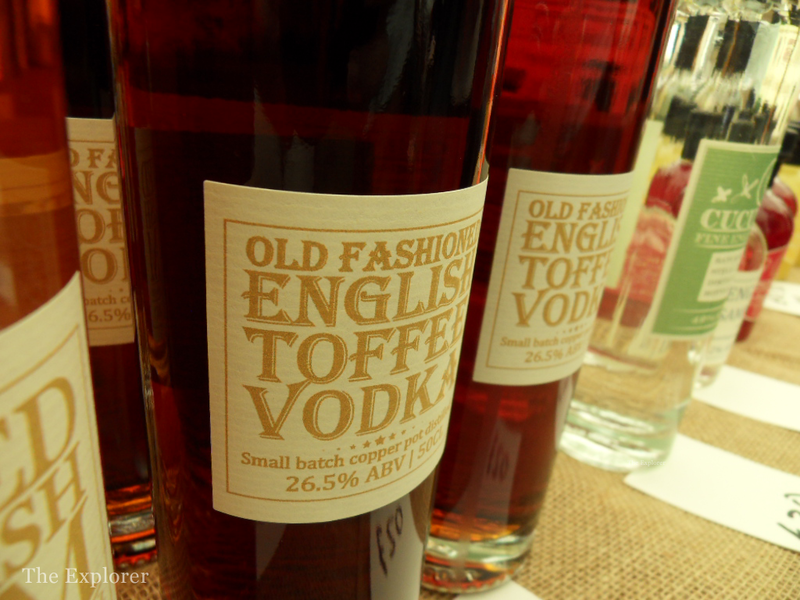 Then there was the Toffee vodka from The English Spirit Distillery. This piqued Mr M's interest! Ordinarily I cannot drink Vodka straight, however this little lovely worked out wonderfully for me. It left me with a warm fuzzy feeling inside. This would go great in a sauce for Sticky Toffee pudding or an adult smoothie! 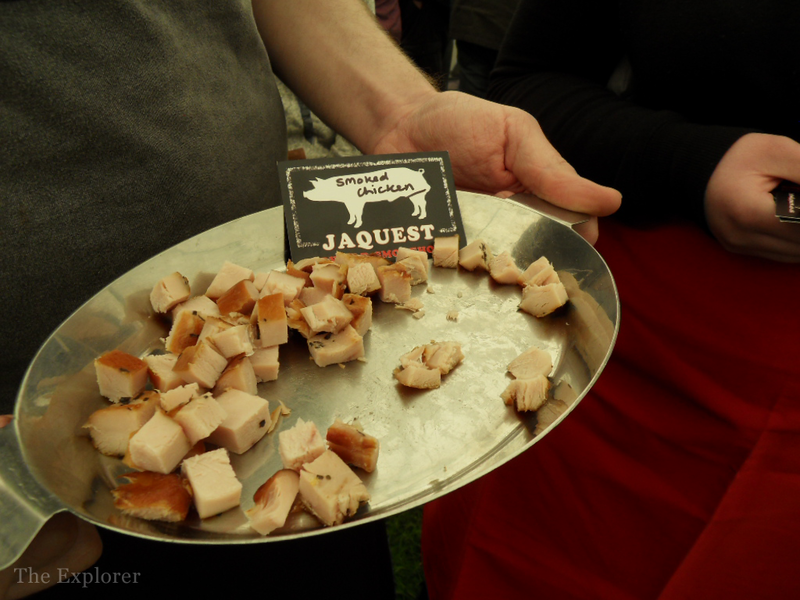 One of the best discoveries of the day has to be the Jaquest Redwood Smoke House. I tried a sample of their Smoked Chicken. Have you ever tried Smoked Chicken before?! You should try it! It was a total revelation! This was beautiful as, I was reliably informed, was the Smoked Salmon Pate (I’m not a Salmon fan unfortunately). 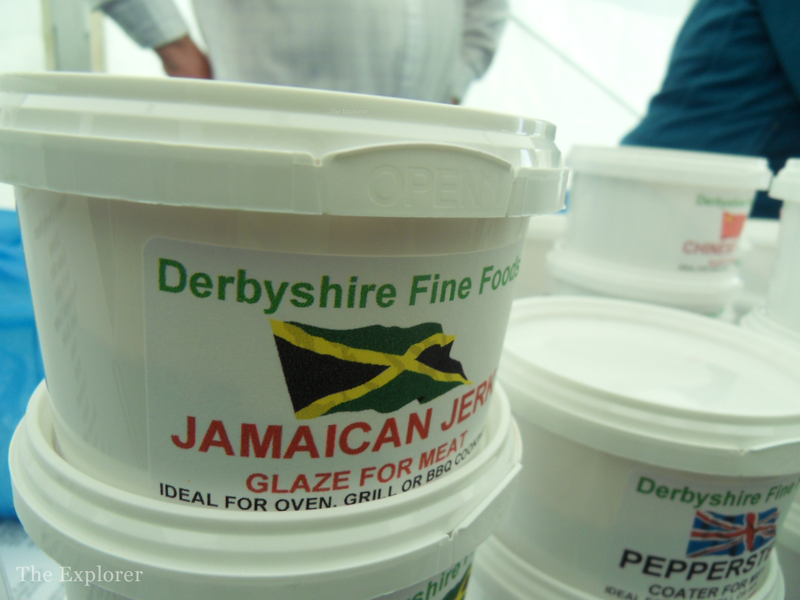 Probably the best value products we found were the Meat Rubs from Derbyshire Fine Foods. They had a massive list of different rubs all of which were £1.20 each or 5 for £5. Of course we got 5! Although I am totally gutted that they had run out of their Hickory and Maple Syrup rub. 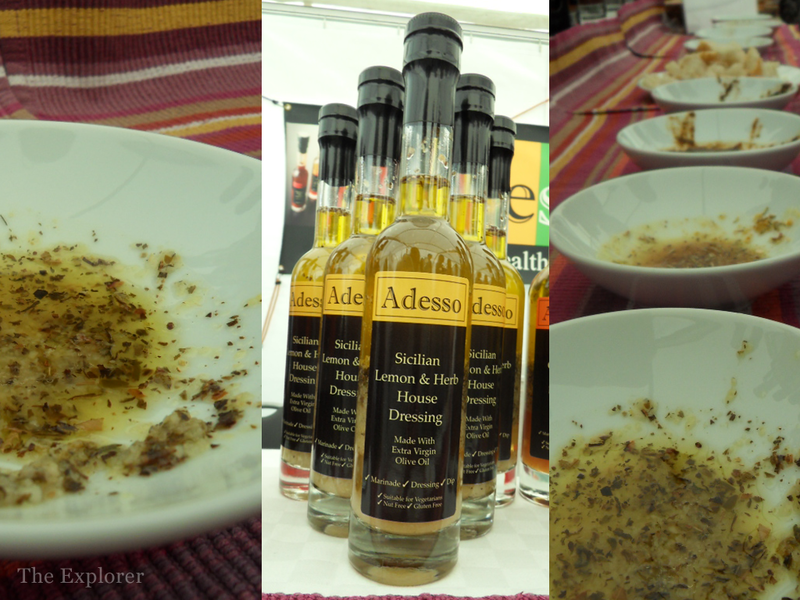 Then there was Adesso. 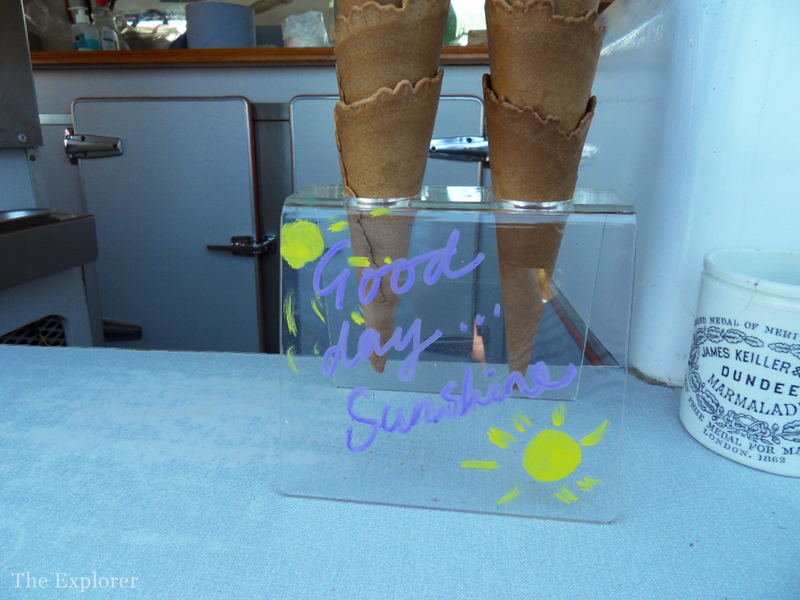 We were lucky to get a chance to chat to the guys behind the stall (prompted by the question "Why are you taking a photo of the one in the bowl?!"). It turns out that the gentleman asking me the question was the chef that creates the dressings, dips and marinades available. I was told that their best seller is the Orange and Honey Marinade that they do. This marinade just so happens to be the marinade used on one of the dishes served to the Queen at Wimbledon. If that isn't a seal of approval I don't know what is. I have to say though, whilst the Orange and Honey is lovely, it isn't a patch on the Lemon and Herb Marinade! This stall falls into my top three….possibly even my top one. 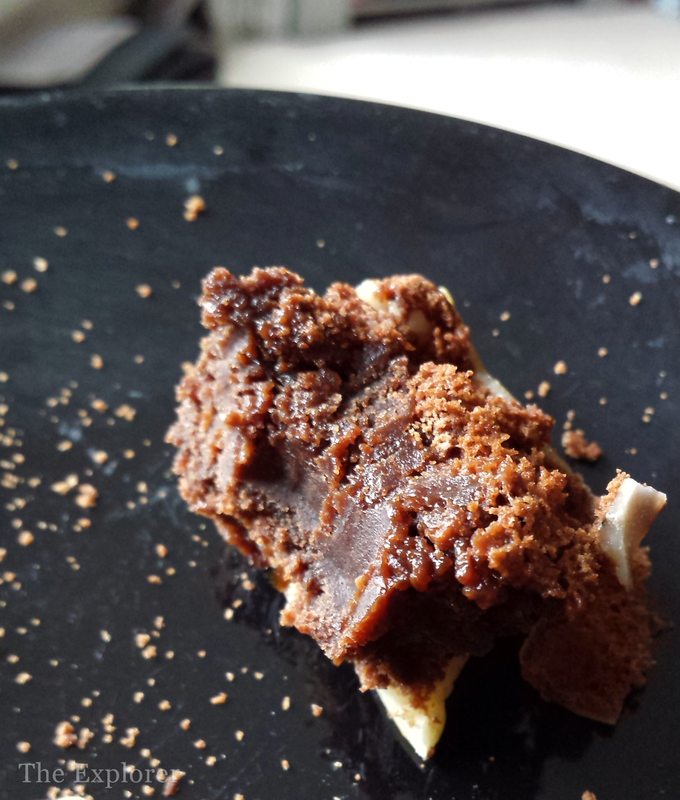 It was Narna's Rocky Road that caught my eye but my affections were quickly stolen when Alana offered me a sample of Brownie………Oh. Holy. Mother. Of. Brownies. Of course when it came to fudge there was no way Mr M would pass up the opportunity to get fudge. Fudgerrific had a pick and mix situation going on, a fabulous idea in my opinion, which gave you the opportunity to buy as much or as little and as many different flavours as you wanted. 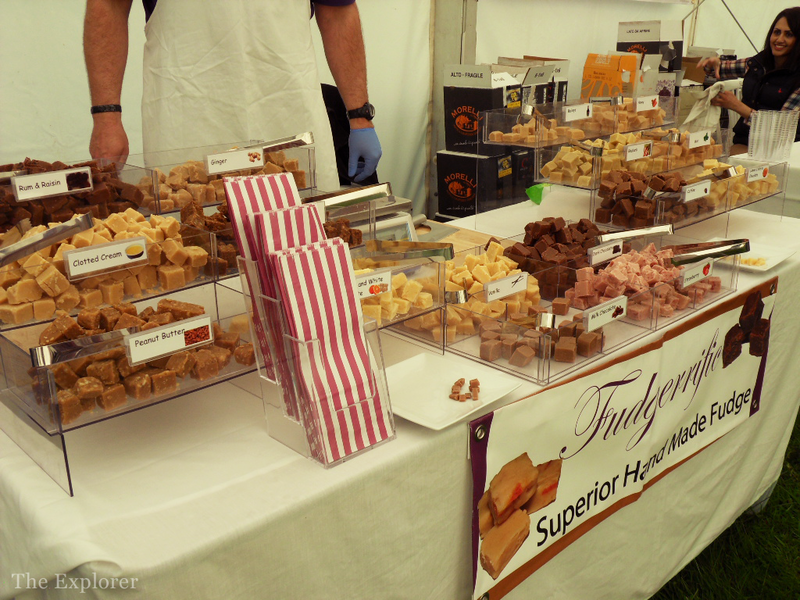 I should point out that I am not normally a massive fudge fan however the White Chocolate and Orange fudge was beautiful. We got chatting with the brains behind the outfit, Richard, and Mr M let slip his favourite flavour: Sea Salt. Richard seemed intrigued and I have to say if he took his fudge and combined it with Sea Salt he would have a winner! This cheese is Lime, Chili annnnnd....tequila cheddar! 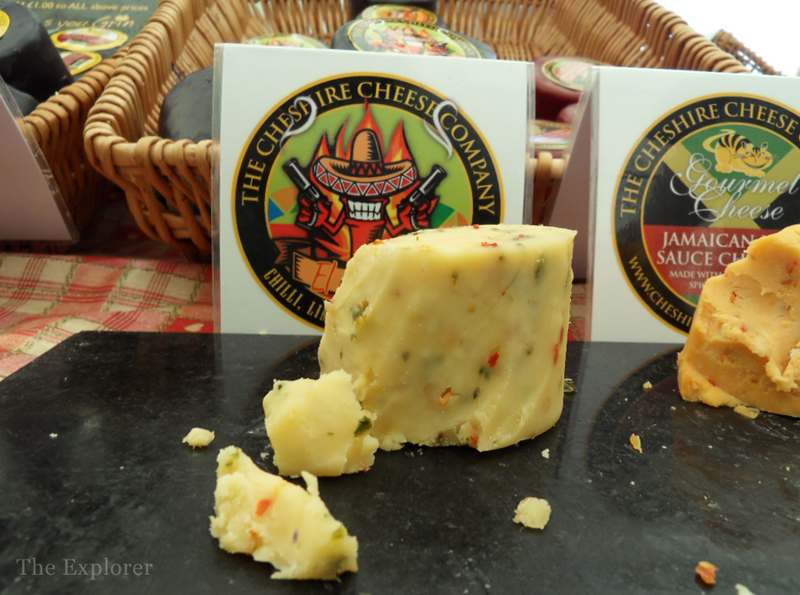 It is from the company The Cheshire Cheese Company. There are so many yes' to this cheese. It was truly outstanding. It was - dare I say it? - the best cheese I tasted all day - and I tasted A LOT. Honestly. It's one of the things I keep thinking about. It was light, creamy with a bit of bite. Just perfect! One of the many bonuses for a day like this for foodies is the discovery of insanely simple concepts that had never crossed our minds for example: Twist and Kick. Salt mixed with different herbs or spices. Simple, yet effective! 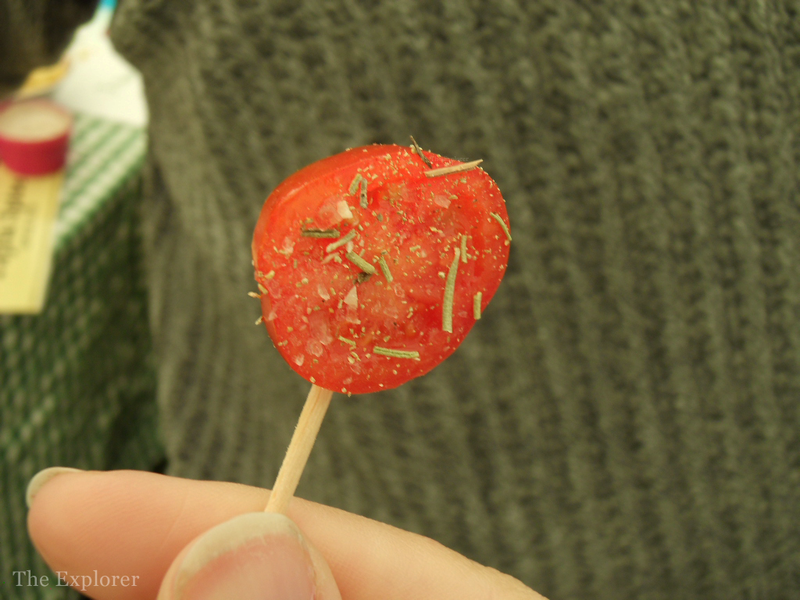 I sampled the chili salt and the rosemary salt. Both incredibly nice but what really hit me was the way the Rosemary Salt really made the flavour of the tomato pop out (I don't care if I sound poncy - it's true!). The combination of the mixes were well thought out! 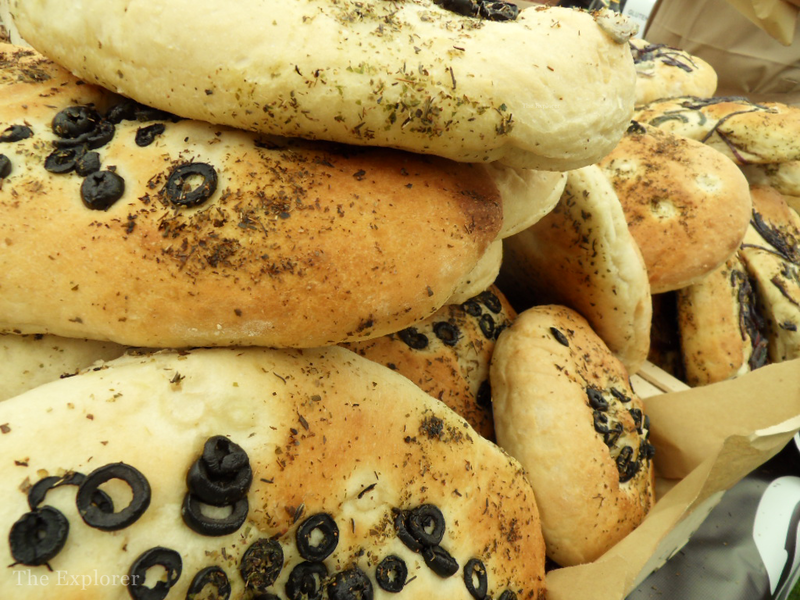 As we walked around I noticed was that there was, naturally, a large amount of fresh bread. All of them looked amazing and Mr M couldn't resist a Sweet Red Onion loaf from The Artisan Bakery. He Doughed To Be Different! 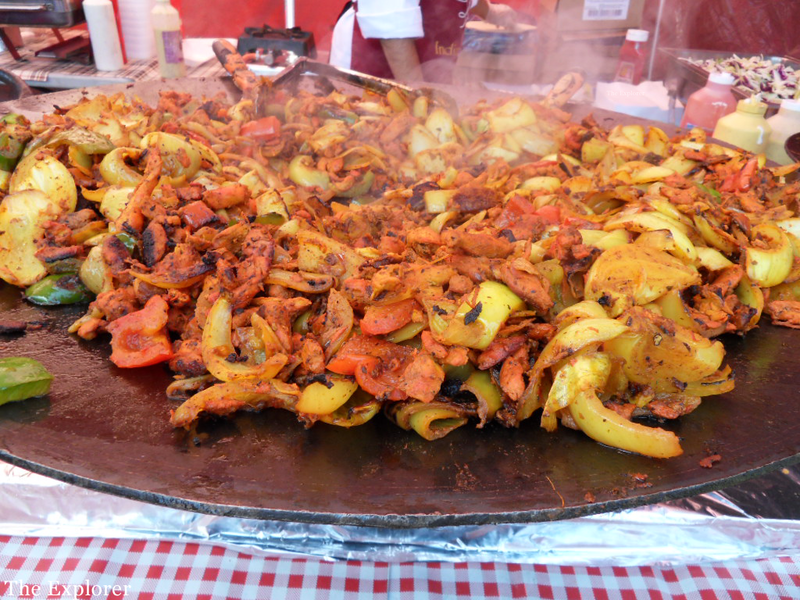 After a few hours of wandering around the food tents it was clearly time for lunch - and to put something in my stomach other than cheese and liqueur! So now, ladies and gentlemen, is the time for The Oh My Days sandwich. I cannot tell you how amazing this sandwich was. I mean truly phenomenal. Juicy Pulled Pork, *Boom* Jalapeno Jam, *Boom* pickled Jalapenos, and Chipotle sauce, all held in close by a Brioche bun of love BOOM! For the love of all that is porky this was immense. Well done We Are Castro! The pork was beautifully cooked, the perfect balance of meaty and juicy. The jalapeno jam was outstanding zingy and spicy it gave the extra kick, and the brioche bun, oh, the brioche bun! Best. Sandwich. Ever. I have officially popped my Street Food cherry and I couldn't have chosen better. 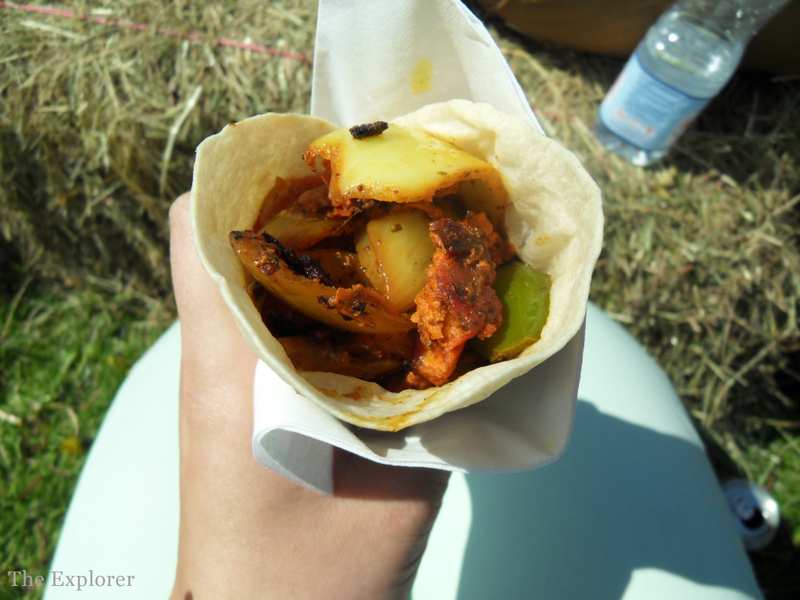 Mr M opted for an Indian Delights lunch of Onion Bhaji and a Chicken Tikka wrap. This smelt amazing. The chicken was so tender and had a brilliant balance of spice (I stole some - obviously!). Mr M was pleased with the quantity (very important for a growing man!) and he was impressed with the quality of it too. It was cooked very well. He seemed to enjoy it! P.S I will be doing a third and final post with all of the photos from the day....honestly there's loads and you just have to see them. I aim to make you hungry! *All views in this post are my own. I was not asked to write this post by the event organiser or any of the companies that are included. These are my own genuine thoughts and opinions. I am so jealous and hungry right now. Everything looks amazing, wish I'd known about it!! !